Take advantage of our April specials to help your beauty bloom during the spring season! Our team at the Dermlounge is excited to share these new deals—plus, an invite to our upcoming event—to help you feel confident and look your best. Take a look at the special offers below on non-surgical body contouring and popular skin care products. If you’re a member of our VIP Program, you may be eligible for additional savings! To redeem one of our April specials or reserve a spot at our upcoming event, give us a call at (804) 621-5381. Want to reduce excess fat in trouble areas, like the love handles, abdomen, or thighs? Get up to $500 off non-surgical CoolSculpting with an instant rebate. We’re also offering an extra 15% off the treatment (and 10% off for VIP members). Day 3 | / You’re Invited to Our Peel Event on April 24th! We’re hosting a skin peel event on Wednesday, April 24th, where you can take advantage of specials on peel packages and SkinMedica® products. 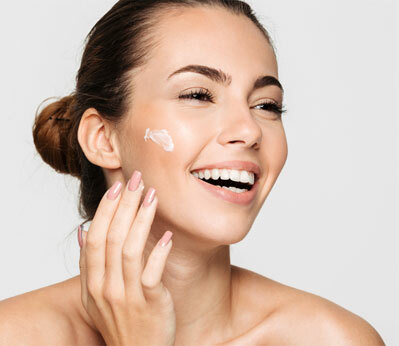 To attend the event, a $50 deposit is required, which includes a complimentary peel and can be used towards peel packages and SkinMedica® products that day only (and is non-refundable). Please note your peel will not include dermaplaning.